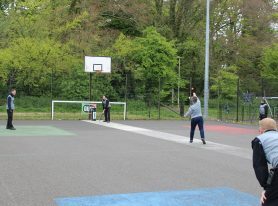 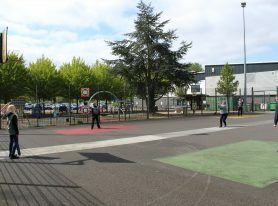 Although the early summer weather decided not to pay a visit, the brisk north-easterly wind was no deterrent to the hardy law enforcers who not only took to the game really quickly, but didn’t take long to see where Cage Cricket could be used within local community projects. 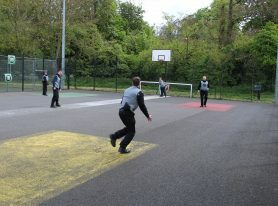 For these officers, it was certainly a case of neither over (the fence) nor out (of touch!). 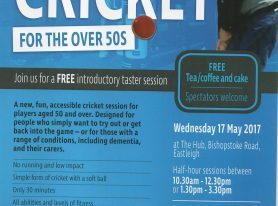 The next session for the Eastleigh programme will be an inclusive session on Wednesday 17th May 2017 for the Over 50’s, continuing the work of the Dementia programme from 2016. 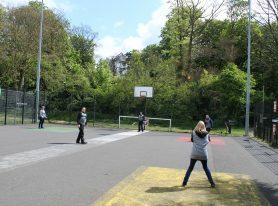 This free introductory taster session is open to all, especially with those diagnosed with a range of conditions. 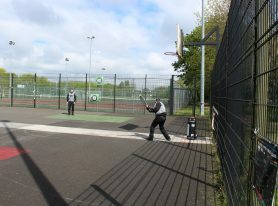 To come and watch or take part, come along to The Hub, Bishopstoke Road, Eastleigh between 10.30am and 12.30pm or between 1.30pm and 3.30pm to see what Cage Cricket is all about!